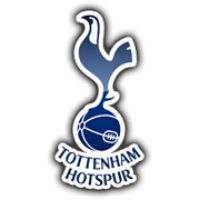 Follow text commentary of Tottenham Hotspur vs Watford live score in the Premier League. Kick off is set for 20:00 pm GMT. The victory sees Spurs go seven points clear of both Arsenal and Chelsea and just two points off Manchester City in second-place. FT: Spurs grind out the victory with just minutes to go. Heung-min Son capped off his comeback with an equalising goal to cancel out Craig Cathcart's header and then with minutes to go Fernando Llorente headed Spurs to victory on a night when Chelsea dropped points. GOAL SON PUTS SPURS LEVEL! A minute silence will take place in respect of the missing Cardiff City striker Emiliano Sala. The teams are heading out of the tunnel on a bitterly cold night in north-west London. Just 10 minutes until kick-off. An awful lot is riding on this game for Spurs. A huge boost for Spurs as Heung-min Son comes straight back into the starting XI and Fernando Llorente keeps his place as the Spaniard looks to get back to scoring ways. 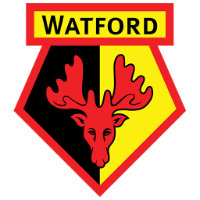 Foster, Janmaat, Mariappa, Cathcart, Holebas, Hughes, Cleverley, Capoue, Pereyra, Deeney, Deulofeu. Lloris (C), Aurier, Sanchez, Alderweireld, Vertonghen, Rose, Winks, Sissoko, Eriksen, Son, Llorente. Well, the team news is in here at Wembley. "Believe me, it is not a problem. I am delighted with this. I am very pleased with all my players, especially Andre [Gray] and Isaac [Success], who scored in the last game. "This is very, very good for the team to have different options. I trust all of them and they are waiting for their moment to show their level." "I want to win cups. I’m not naive. It’s tough for me because after 3/4 seasons we’re always talking about the cups. I want to build my CV winning titles of course. I’m the first who wants to win. I think in the last five years we’ve played in four semi-finals and one final," he said. As for the visitors, Javi Gracia does not have any new injury concerns. The Lilywhites do remain without Harry Kane and Dele Alli as the two continue to recover from their long-term injuries. Ben Davies also remains out with a groin injury but Moussa Sissoko has returned to training ahead of Wednesday's game. Spurs have been handed a huge boost to their injury woes with the return of Heung-min Son from the Asia Cup. The South Korean has returned a lot earlier than expected after his country were eliminated by Qatar on Friday - the 26-year-old could feature on Wednesday. Paulo Gazzaniga showed why he was selected in the starting XI as the Argentine pulled off two fine saves in the shootout to earn Spurs a place in the next round. Spurs did seek their revenge just three weeks later as the two sides met in the Carabao Cup which again ended in dramatic fashion as Erik Lamela scored with minutes remaining to seemingly wrap up the tie but former-Spur Étienne Capoue sent the tie to a penalty-shootout with seconds left. In this season's earlier meeting between the two sides, it was the Hornets who secured the three points in a dramatic second-half at Vicarage Road. 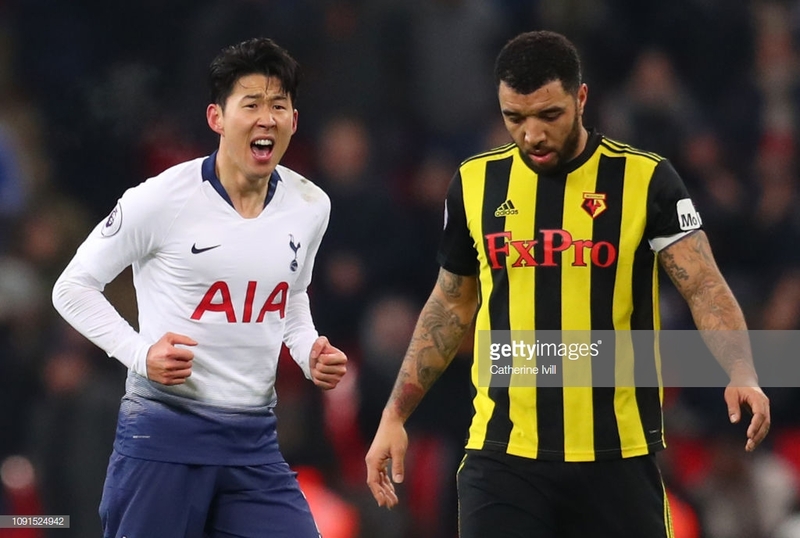 An Abdoulaye Doucouré own-goal gave Spurs the lead but Troy Deeney and Craig Cathcart scored in quick succession in a win which saw Javi Gracia's side move up to third place. However, the Hornets have a terrible record away to Spurs. Their last victory on the road to the north London side came in a 1994 League Cup game which they edged 3-2. As for the visitors, Watford are in fine form. Sitting seventh in the Premier League and into the fifth-round of the FA Cup after cruising to a comfortable 2-0 victory away to Newcastle United on Saturday. Tottenham host Watford at Wembley just days after they find themselves dumped out of both the Carabao and FA Cup. The Lilywhites really have endured a torrid week which was capped off with defeat on Sunday to Crystal Palace in the FA Cup.